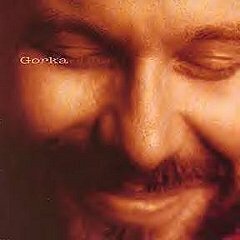 John Jennings, a musician and producer well known for his work with John Gorka and Mary Chapin Carpenter, has died. Jennings, who was 61, died at a Maryland hospice center on Saturday (Oct.17), after a battle with kidney cancer. He had been diagnosed in early 2014. Born in Luray, Virginia, and raised in New Mexico and Washington, D.C., Jennings was steeped in music of all sorts. Initially a student of trumpet and piano, he switched to guitar under the influence of the Beatles. Among the early D.C. bands he played in were Bill Holland & Rent's Due and Big Yankee Dollar. John Jennings was also an early member of Pentagram. "He could play anything," Mary Chapin Carpenter tells the Washington Post, "and his knowledge, talent and supreme great taste informed everything he did." 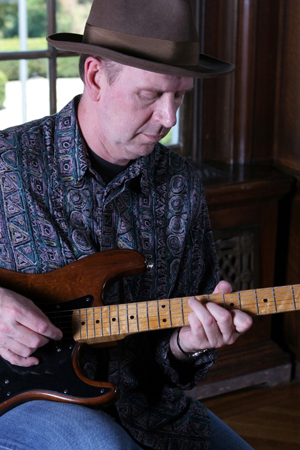 Jennings played in a few D.C.-area bands before hooking up with Carpenter in 1982. They briefly dated, but it was their creative relationship that proved the most fortuitous. "He had a studio in his basement, and I'd start going over there on the weekends and diddling around," Carpenter told the New York Times in the early '90s. "That's the way John is. John is like, 'Let's do it.' He doesn't see hurdles. I see hurdles." 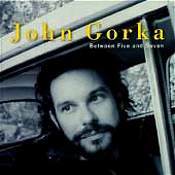 John Jennings produced three CD's of John Gorka The first one he produced was 'Out of the Valley' (1994) with classic songs like "Flying Red Horse" and "That's Why" , Two years later he did the production on 'Between 5 and 7' (1996) and the third CD John Jennings produced was 'After Yesterday' (1998). John Jennings also played percussion, acoustic & electric guitars, keyboards, acoustic bass, drums on this great CD with songs like "Cypress Trees" and Zuly. 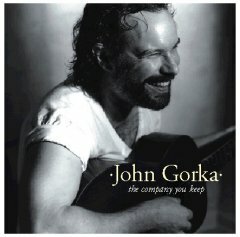 John Jennings played acoustic guitar, and bass on John Gorka's 2001 CD 'The Company You Keep'. In addition to his production work with Carpenter, Jennings also produced albums for Janis Ian, Robin & Linda Williams, Bill Morrisey and BeauSoleil - as well as six of his own albums. "While I want to be successful, it's not something I'm going to go out of my way for. I don't really see it for me," the artist told the Washington Post in 1997. "Had it not been for Chapin, my life would be very different. I'd like to think that, had it not been for me, hers would have been very different, too." Jennings co-produced, among others, Carpenter's Columbia Records debut album, 1987's Hometown Girl, and 1990's Shooting Straight in the Dark, the latter of which became Carpenter's first platinum album. He has been nominated for several Grammy awards, and has won more than 20 Wammie (Washington Area Music Association) awards over the last 20 years. Jennings leaves behind his companion of 17 years, Tamara Meyer, and a brother. He had lived in Potomac, Md., since 1998. "So we built everything onto those eight songs. I never worked that way before: piece by piece. We did 2 days in a regular studio. Those came in the mail and then I did my vocal and guitar: real guitar parts but kind of ghost vocals. We did the upright bass at home with John Jennings who is an amazing musician and producer. Then we did two days of overdubs with Peter Ostrusko, Dean McGraw and Michael Mannering and John and they all played together at once. So there was interaction that way. Also we saved a lot of first passes of things. So it doesn't sound like a meticulously overdubbed record. it sounds like everybody is in the same room playing. I think it was because of that keeping the first passes even when the musicians weren't sure of what they were playing. Several of the songs I had sent demos to Peter, Dean and Michael and I had recorded them in different keys. They had to think fast. What they came up with was great. One of the things I learned when I did the guitar parts separately this time, we used almost all the first passes. I knew with singing that if you sand a song too many times it would lose it's juice but I didn't know that was true of instrumental playing as well. That is something I really learned on that one, we used a lot of the first passes on my guitar parts."